The Career Center invites businesses, non-profits, government agencies, school systems, and graduate schools to participate in our Career & Grad School Expo, held on campus each fall and spring semester. The Expo provides a great opportunity for you to showcase internships, employment, or continuing education. And you can also get acquainted with our engaged scholars and see for yourself how our students are cultivating the type of intellectual breadth that empowers them to tackle complicated problems and provide thoughtful solutions. Here’s some information to help you prepare for your visit to campus to participate in the Career & Grad School Expo on the Truman campus. To register for Truman’s Career & Grad School Expos, companies, organizations and schools can create an account on #HireTruman, Truman State University’s Career Services System. Kirksville, Mo., is located on U.S. Hwy 63. When entering Kirksville from the north or south, take the Baltimore Street exit (Business 63). Turn west on Patterson Street. The Expo is held in the Student Union Building, also known as the “SUB,” which is located on Franklin Street. The unloading area is on the SOUTH side of the Student Union Building. There will be unloading signs to direct you. We will also have student volunteers available to carry your boxes and displays into the building. To avoid a backlog of traffic at the unloading spot, please do not come into the Student Union Building to register until after you have unloaded and moved your vehicle to the reserved parking lot (see “Parking” below). Make sure your materials are clearly marked with your name and your company’s name, and the student volunteers will transport your materials to your table while you park your vehicle. After unloading, drive your vehicle to the parking lot at the corner of Patterson and Franklin streets (see map) which has been reserved for the day for Expo recruiters. There will be a student volunteers at the entrance to the parking lot to help guide you. It is a short walk to the Student Union Building from the parking lot or you may take the University shuttle van that will be provided. Once you reach the Student Union Building, look for the Recruiter Registration Table on the first floor (lower level). If you have questions about the parking procedure, please call the Career Center at (660) 785-4353. Career and Grad School Week includes events ranging from Employer Information Sessions to interviews you can set up with students you meet at the Career Expo. The Student Union Building will be open at 7:00 am. Interviews may start at 8:00 am. The last interview should be completed by 5:00 pm. 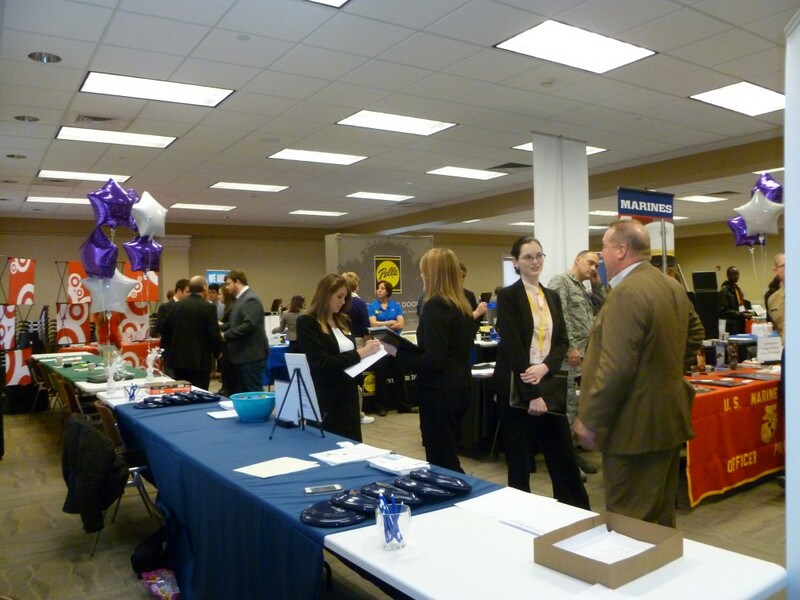 You must request interview tables when registering for the Career Expo. Students you meet during the career fair and are interested in interviewing will need to sign up for a slot on the blank schedule provided to you the day of Expo. Students who have applied for early consideration must also coordinate their interview times with you. We ask your assistance in fielding questions from students. We encourage all students to talk to recruiters, regardless of their major and regardless of the major(s) for which you may be recruiting on the day of the job fair. This is a great time for you to showcase your company and for the students to learn about potential opportunities. We hope that you will answer students’ questions regarding opportunities in your company for their field of interest and geographic preference, provide them with the name(s) of the appropriate person for them to contact for positions they may be interested in, and that you will forward the students’ resumes to the appropriate people in your organization if asked to do so. Many students with liberal arts majors are interested in your organization and have the skills and qualities your organization seeks. Please assist them as much as possible. We also ask that you remain at Career & Grad School Expo until 3 p.m. The Career Expo hours have been set from 11 a.m. until 3 p.m. so more students will have the opportunity to speak with you. While we understand that makes a long day for you, we want everyone to have a chance to speak with you.